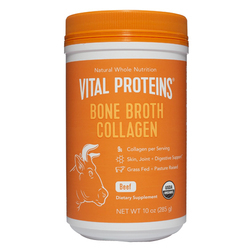 A collagen protein powder that improves the hair, skin, nails and joints, ligaments, tendons. 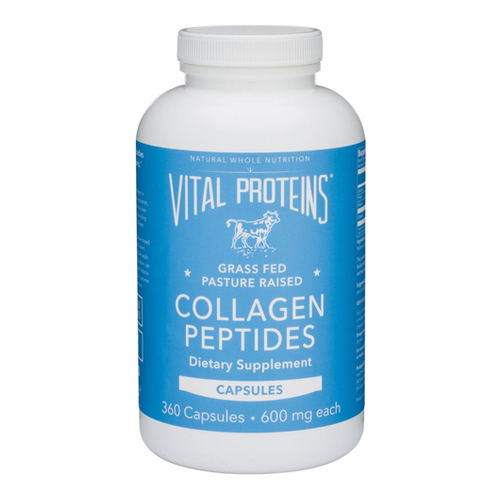 A capsule that improves the hair, skin, nails and joints, ligaments, tendons. 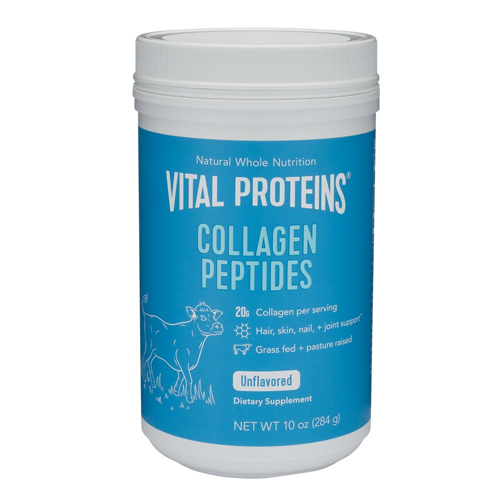 Vital Proteins' Collagen Peptides are easily digested and soluble in cold or hot liquids. 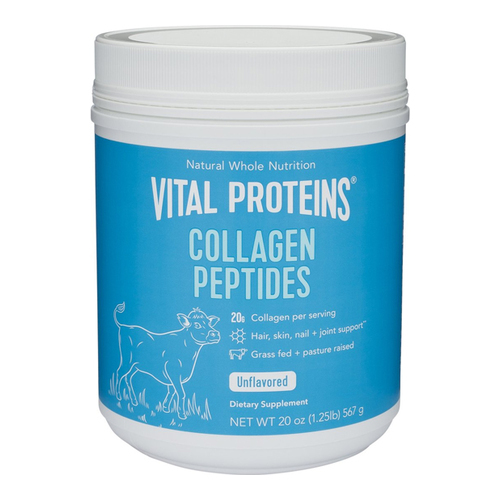 Just one to two scoops per day, adding a scoop of Collagen Peptides to food or beverages give you the vitamin boost you need to support healthy hair, skin, nails, bone and joint health, digestion, muscle recovery, and more. • Combine -2 scoops one to two times per day with 8 fl oz of cold or hot liquid, mix thoroughly. 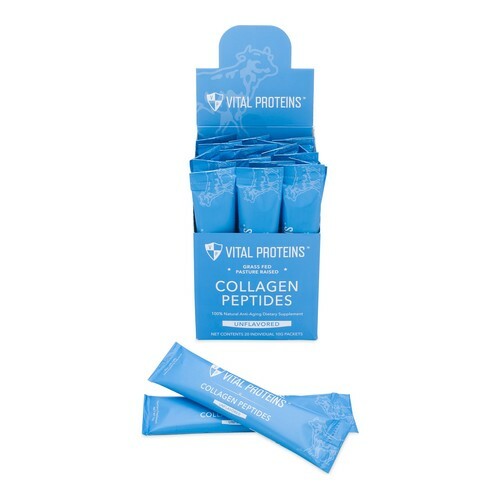 Was looking for a protein source that wasn't whey and came across this product as it contains 18g of protein in a 2 scoop serving. Absolutely no smell or taste! I was surprised to find this powder does NOT smell and has NO flavor making it a great addition to soups, smoothies and juices, even my coffee! Dissolves completely in my beverage.